Quest for Quality is a forward-thinking conference on Software QA and testing. October 3-4, international thought leaders will come together to discuss the latest trends and topics in QA, as well as the latest challenges brought by new tech. 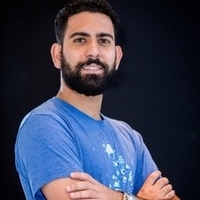 Marco Andrade, QA Automation Engineer at Toptal, will take the stage with a talk titled Smart contract: Automated tests for the decentralized platform. Marco will discuss the role of the modern tester in the blockchain environment — and the risks of forgoing QA. He’ll share horror stories of projects that have gone live with little or no testing by anyone other than the dApp developer, resulting in the loss of hundreds of thousands of dollars. Join Marco’s talk on October 3, 11:45-12:15pm. For more information on the conference and to RSVP, please see the event website.